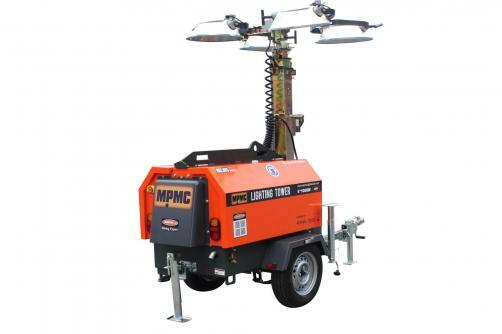 MPMC light towers, relied on its high reliability, maximum safety, easy operation and simple maintenance etc., are suitable for varies applications like construction site, mining filed, rental business, public equipment service, accident handling, large-scale event, disaster relief etc. Standardized design and customizedrefit provides most timely solution. 1.Its compact design allows for ultimate versatility and ease of use. 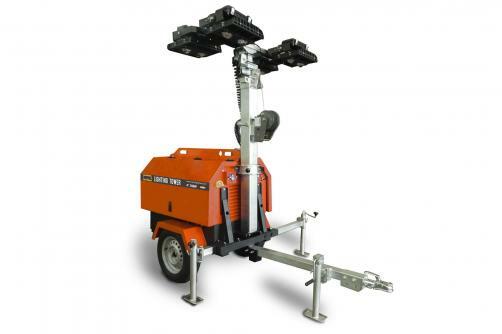 2.Telescopic,mechanical,5 stages mast up to 7.5m. 3.Heavy-duty w inch design and integral forklift pockets. 4.Manual winch for extending and retracting mast. 5.Separate lockable,weather protected, powder-coated steel doors. 6.Residual current device (RCD) protection. 7.Individual breaker switch for each light assembly. 11.Convenience outlets offer auxiliary power for electronics and small tools . 12.Without driving brake and parking brake.